Fred Strammer grew up in Venice, Florida has been campaigning in the 49er for the last four years. 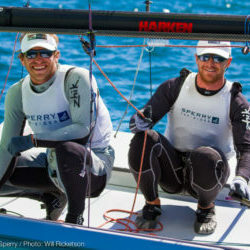 He and his teammate Mike Kuschner are top contenders for the 2016 Olympic berth in the 49er class. This winter, they will focus their training in Argentina and Brazil before coming to Florida for their Olympic Trials. Competitive sailing for Mike Kuschner began on the inland lakes of Minnesota. 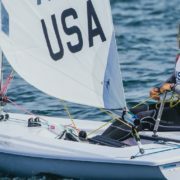 Growing up on the inland lakes provided for an early experience with competitive racing, however it wasn’t until he relocated to San Francisco for his high school years that he started to make a name for him-self in the national and international sailing scene. 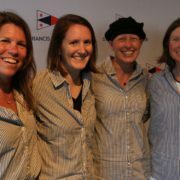 While in San Francisco, Kuschner lead his self-started high-school sailing team to successful seasons, racing out of St. Francis Yacht Club.